I woke up and had to get ready to go to Doesburg with Mike at 12:30 p.m. and also pack for our upcoming weekend in Venice. The weather there is anything from sunny/rainy, warm/cold according to the weather forecasts so packing in a carry on for pretty much any weather was proving aggravating. Mike came back from work, picked me up and we went to Doesburg to check out a house that was for sale. We looked and decided though it seemed alright, it wasn’t for us. I had to be registered in the town now that I have my card to stay for a year so we went to the city office to do just that. But I am in the system now so that’s a start. 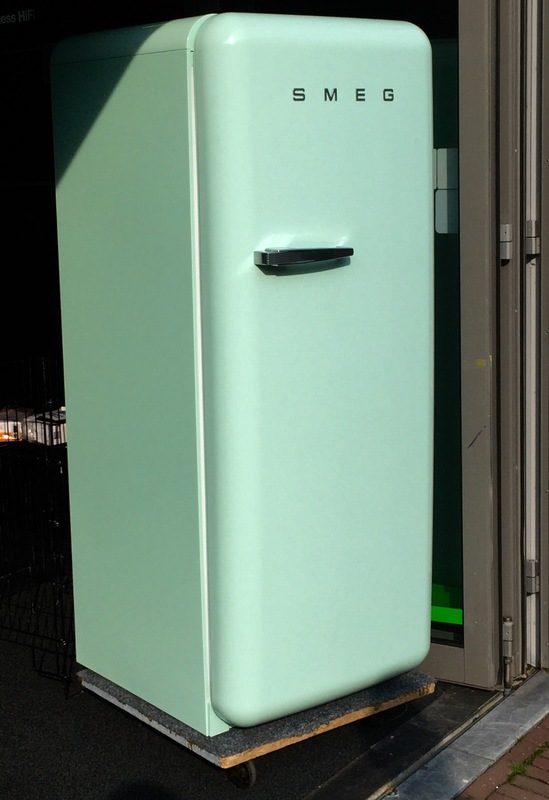 I seen a beautiful mint colored, Smeg fridge as we walked the streets. Errands being done we decided to eat Chinese food and then head back to the cottage. 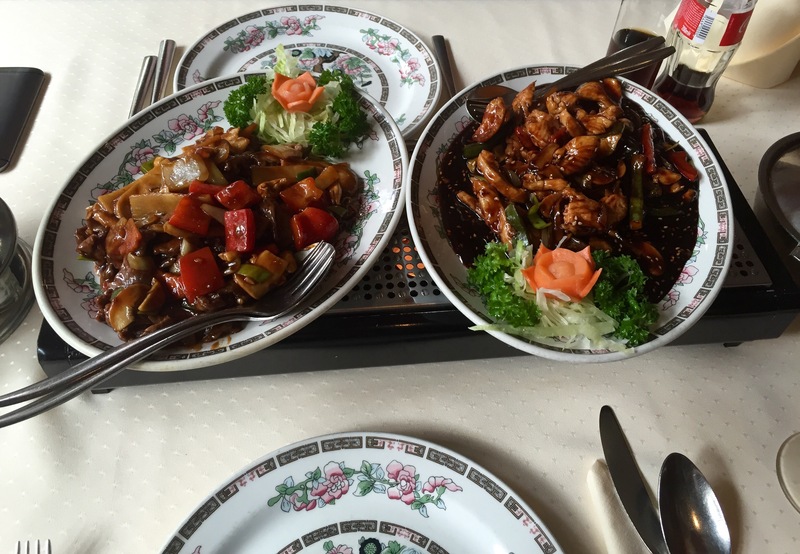 It was fairly tasty but all one taste. Mike took a scenic route back to the cottage because of traffic. 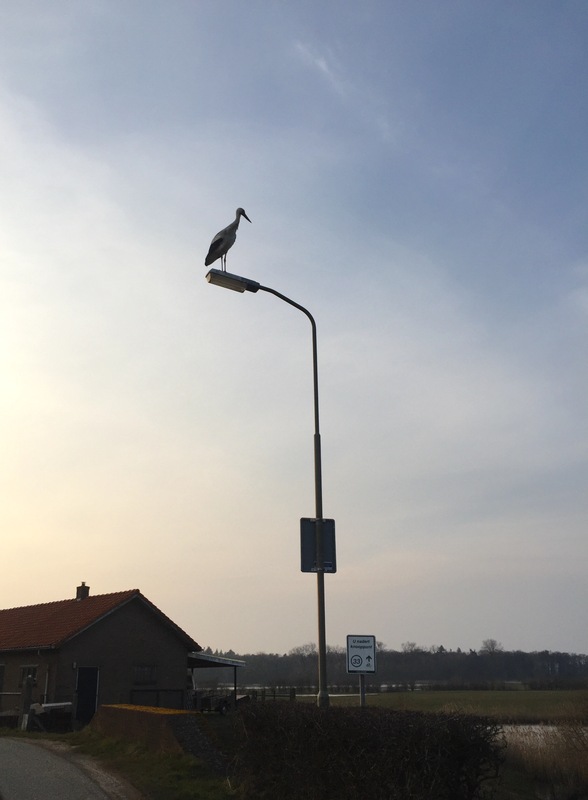 But I woke up in time to see 7 or so storks. It may seem uninteresting but they are big and make me think of ‘Dumbo’ haha. Their nests are pretty intense too but I didn’t get a pic. so look em up if you’re curious.